So we have a big first world problem, the garage at home is too small so when we drive cool cars home from the shop like Project Evo IX, they have to sit outside. Since we don’t want some of our cars exposed to the weather, we needed an awesome car cover to protect the car from the elements, damage from stuff falling out of the neighbor’s tree and prying eyes. 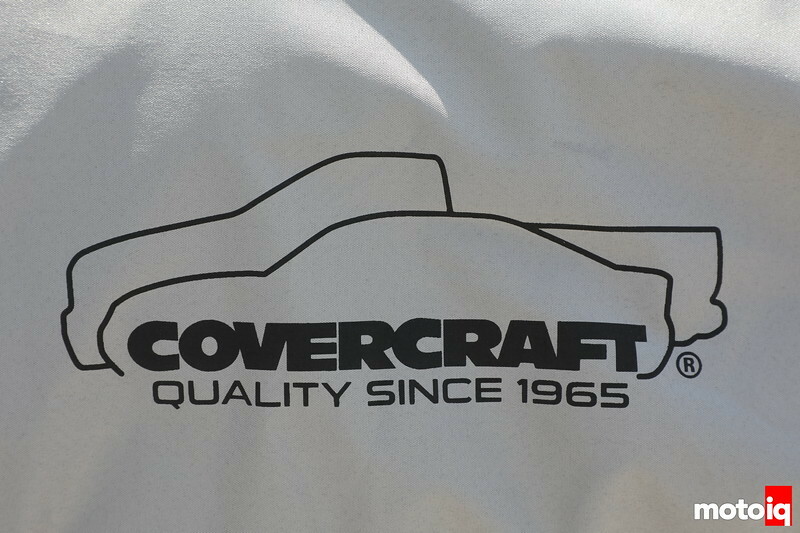 To get a cover that fit the bill, we ordered a custom car cover from Covercraft that met our needs. We chose Covercraft because we have a lot of luck with the previous custom cover we had gotten for Project GTR. With Project GTR we had gotten a custom cover but since we mostly store the car inside the shop, it was mostly to protect the paint from shop dust and metal particles from fabrication. We used Weathershield as the fabric for the GTR cover as it is breathable, soft and just about impervious to water and dust. Water rolls off of Weathershield like liquid mercury taking dust with it. Weathershield is also very resistant to UV light and blocks a lot of it from reaching the car’s paint and interior. Since Project EVO IX is sometimes kept outdoors for longer periods of time, we wanted a cover that was even more resistant to the elements than Weathershield. We opted for Covercrafts most durable and weather resistant fabric option, Weathershield Plus. Weathershield Plus has the same positive properties as Weathershield but with one difference, it is much thicker. For us, it is easier to install the cover from front to back. Look for the Covercraft logo, this is the front of the cover. The thickness of the fabric gives better protection from door dings and other minor impacts. It also gives better UV protection and is more durable. The only disadvantages of Weathershield Plus are the cover is bulkier when stored and is heavier. The Covershield cover is custom made to order and Covershield has patterns for just about every car made. Our Evo cover even had this little extension for the roof mounted radio antenna. 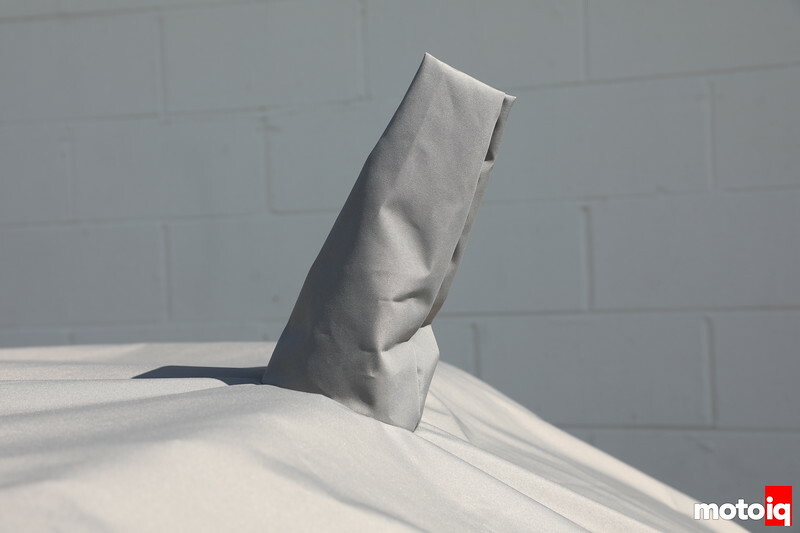 Weather Shield and Weather Shield Plus are both very slippery fabrics and putting the cover on and off can be a little tricky as the cover just wants to slide right off the car so the front to rear over the roof procedure helps. To store the cover, go backward rolling up the cover as you go. I bought the Weathershield HP for my NA Miata in November of 2014 after I stopped daily-ing it (which it’s now a full blown autox/track car). I unfortunately don’t have the luxury of a garage, nor a covered car port, so I needed to buy a cover for it. 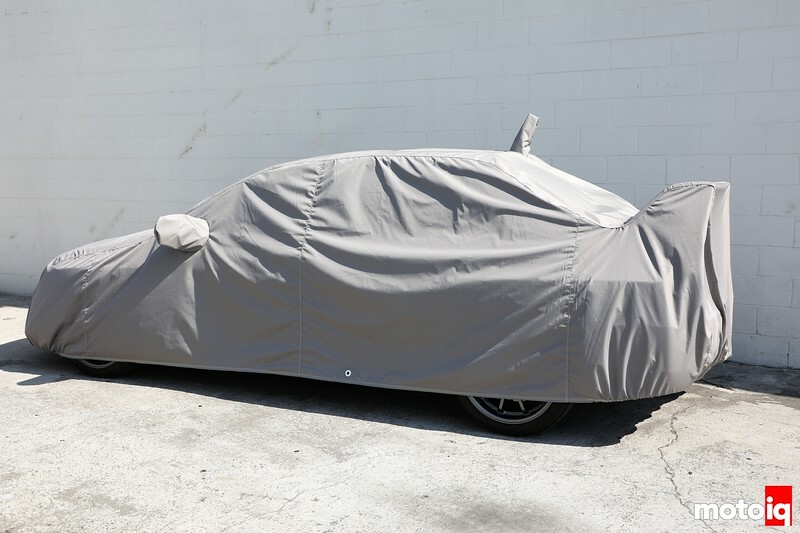 I of course wanted THE BEST cover money could buy…so I spent an embarrassingly long time researching car covers online. I read good things about this one, so I ended up dropping the $290 on it. 3 years 9 months of exposure in NYC summers and winters, and the elastic is still very springy and the fabric is still holding strong with no tears. I also bought the clips and rope tie downs, but you honestly don’t need them since the elastic band and the custom fit is spot on even after all that time. What’s funny is I bought a cheap-o cover the summer of ’14 just to hold me over until I found a good one, and it didn’t even last 2 months. The longest I have ever had a cover last, like the top of the line NOAH covers is a year before they fall apart. The Six-year unconditional warranty did it for me! please update this in 12 months or 15 months, thats the real measure of a car cover.